On the go - again? Mind Your Business is here to ease your mind. This CompletePack is perfectly sized to hold essential travel accessories for your trip. 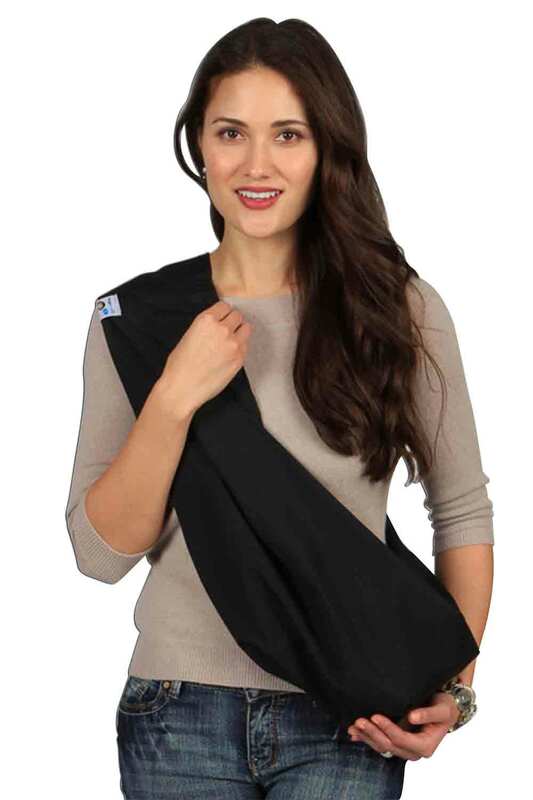 Made of recycled polyester, this zippered fabric case is itself eco-friendly and will easily accommodate a tablet or book reader and chargers in addition to the items already inside. Sit back and enjoy the scenery. 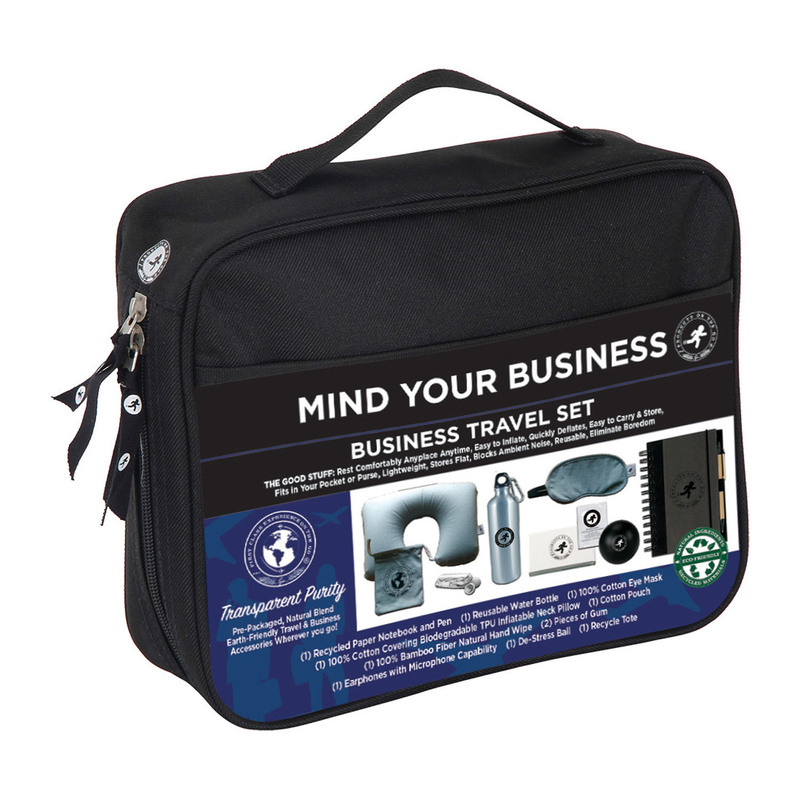 Mind Your Business includes: (1) Biodegradable TPU Inflatable Neck Pillow, (1) 100% Cotton Eye Mask, (1) Headphones with Microphone Capability, (1) Recycled Paper Notebook and Pen, (2) Packs of Gum, (2) Biodegradable Hand Sanitizing Wipes, (1) De-stress Ball, (1) Reusable Water Bottle. We are a proud member of the Natural Products Association (NPA) which is the first and only natural product certification in the United States. Traveling is half the journey. Why not ride in comfort and style? 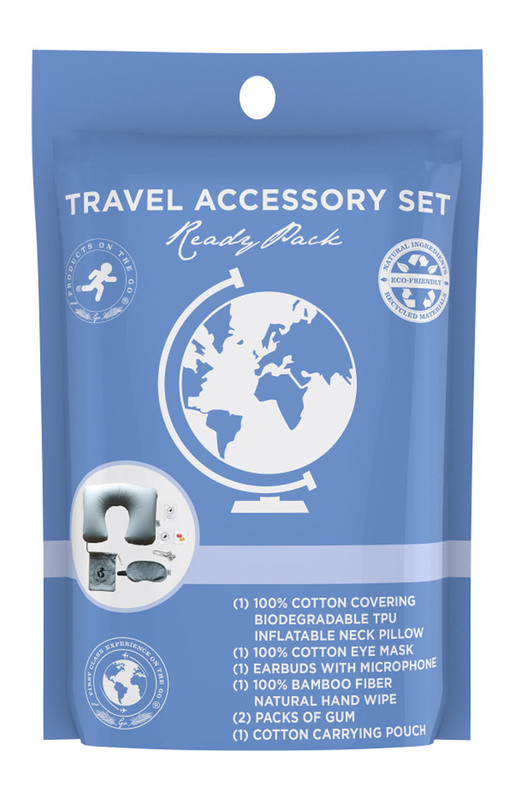 Our Travel Accessory ReadyPack is an on-the-go must-have! 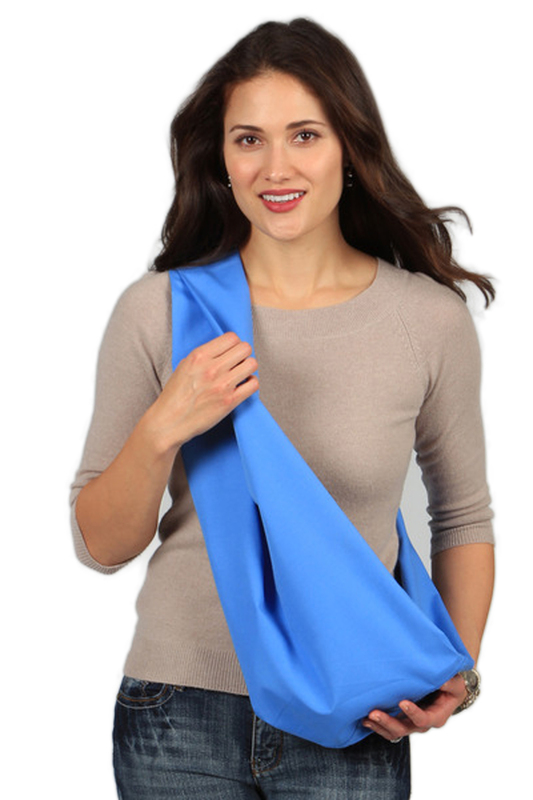 No more unsightly neck pillows dangling on your rolling bag or draped wearily around your neck. 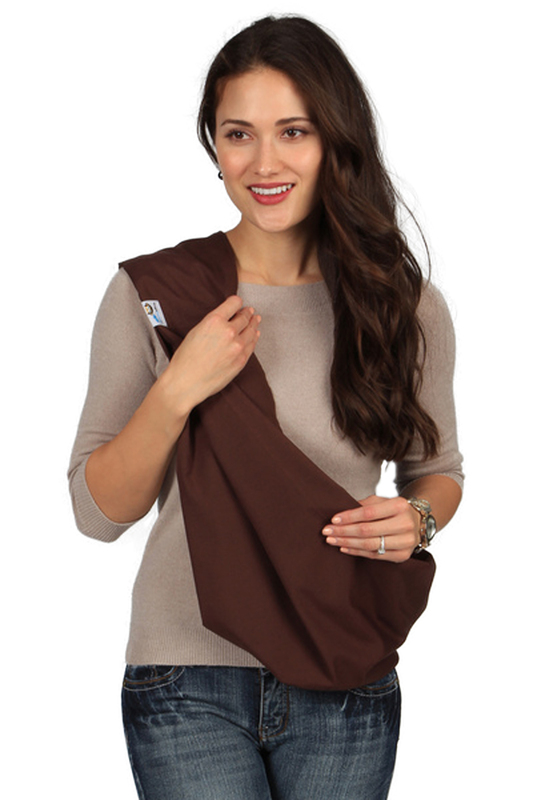 Chic meets eco-friendly in this perfectly packable zip-close pouch of travel accessory essentials. Aah, the simple joys of travel comfort at your fingertips! Take a look at what's inside: (1) Biodegradable TPU Inflatable Neck Pillow, (1) Biodegradable Hand Sanitizing Wipe, (1) 100% Cotton Eye Mask, (1) Headphones with Microphone Capability, (2) Packs of Gum. We are a proud member of the Natural Products Association (NPA) which is the first and only natural product certification in the United States.